In an attempt to get me writing and posting on my blog again I encouraged my readers to ask questions I would then answer in a post. I got some great ones and if you are interested in anything about me go ahead and ask!! This question came in from my bloggy friend and fellow Pearl Jam fan Lisa of Grandma's Briefs. If you haven't checked out her blog yet you really should! Her question is... "If you could have a sideways life -- like the alternate universe sideways life lived by the characters in Lost -- what kind of life would you be living?" I have been a big fan of Lost since day one, so this question is very intriguing. I love all the side stories on the show as well as alternate universe stuff that seems to be going on so I had a lot of fun daydreaming about what my sideways life would be like. One thing I know for sure is that I would be a lawyer. Preferably an entertainment lawyer for local Seattle celebs like, oh, I don't know... Pearl Jam! Cameron Crowe! Anne and Nancy Wilson! Plus I would do a bunch of pro bono work for kids, specifically assisting with abuse cases. I would still live in Seattle, I just love it here too much to live anywhere else, but I would travel all over the world. Being a mom to my two kids would be the same, I can't imagine life without them or my husband. My friend Chrissy, who lives in Boston, would live in Seattle with her husband. She would be a music producer and we would collaborate and share clients. We would have high power business lunches and take long weekend trips with our husbands in tow. Yeah, that all sounds pretty good to me. On January 22, 2010 I was laid off from a part time administrative assistant job with a small family owned steel fabricating company. While I was shocked when it happened I wasn't angry, I was sad. Sad because I wouldn't be seeing people that I loved working with. I know it was totally a business decision and I have absolutely no hard feelings. In fact I appreciate that I was able to work there at all. They hired me at a time I had been out of the office work force for years. After the lay off I got on the computer and started searching for any jobs I was qualified for. Call it a survival instinct, whatever. I felt the need to find a job, any job, instantly. I revamped my resume, filled out online applications and on the Monday after the lay off I applied for 4 jobs, only one of which I was remotely interested in and probably not qualified for. I was called for an interview rather quickly. This interview was the confidence boost I needed to really think about what I want to do for the 15-20 years of work life I have before retiring. Handy Man is fond of telling me I sell myself short; I'm not paid what I'm worth he says. Well the guy that interviewed me told me not to sell myself short and that I was way over-qualified for the position he was offering. He told me I had the whole package. He called me the evening after the interview to inquire about my level of interest. I told him I was interested to hear more about the job because interestingly we didn't talk much about it during the interview. He said he was glad to hear it but he was concerned about how low the salary was. I told him that was a concern of mine too, but not because I'm motivated by money, but because my husband is. As soon as those words were out of my mouth a huge light went off in my head. The guy kept talking but I was only half listening. (If I'm not motivated by money what is my motivation?) We agreed to do a second interview and hung up. Handy Man and I talked and talked, trying to decipher what the guy was trying to say between the lines. I felt he was telling me to name my price during the second interview. I felt like he intended to hire me if we could agree on a wage. Handy Man and I agreed on an hourly wage to ask for and that was that... Except... I had a sick nagging feeling. I didn't want to settle for a similar job where I might be bored some of the time, not to mention the chance of being laid off again because of the state of construction in this economy. Plus I wanted to be challenged and make a difference. So when the guy called me back this week to schedule the second interview I stared to tell him about my epiphany and before I could even finish he stopped me and said, "I'm so proud of you for what you are about to say to me."... "You are way over qualified for this position."... "I'm so happy you made this decision."... "We received 290 applications and you were our number 1, remember that as you go on your next interview."... "Just know that if you ever want to work for us you can give me a call." I don't think I properly express my gratitude to him. I'm so glad I took that first interview, even though the money was low. I decided not to settle just so I could get a paycheck and I hope I never get to a point where I must. I'm holding out for as long as I can for a position that excites me that makes me feel like I'm making a difference in this world. Am I crazy? I blatantly stole this from Jenn at Juggling Life. She posted it last week and I loved her answers. I got to thinking about my last 10 years and decided to make a post of my own. My kids were 4 and 7. This was pre-homeschooling. If someone would have told me I'd be homeschooling both my kids by the spring of 2002 and do it for 5 years I would have said, "What's homeschooling?" Today I have one graduating high school soon!! I thought I was a career day care provider. I'd been doing it since 1991 and didn't see an end in site. I was convinced there was no possible way I could make my way back into the job market. Today I've been day care free since 2004 and have been back in the job market since 2007! My brother and my grandma were still alive. I was dreaming of living in a house with a better layout, a larger kitchen and a view. Today I live in that house and I couldn't be more grateful for it. 10 years ago. . . I had seen Pearl Jam in concert once. I wanted to follow them around and see them in other states/countries. Today I've seen them a total of 20 times in 3 different states and Canada. One day I will get to Europe to see them play... Maybe in the next 10 years?! I yearned to be friends with people who share my love of Pearl Jam. Today I have Pearl Jam friends in a dozen different states and a half dozen different countries! I was married to the same man I'm married to today! I'd never heard of blogging. 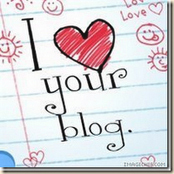 Today I've been blogging for a year and have made some wonderful blogging friends. I find you all a wonderful source of information and inspiration. Thank you! Here's to 10 more years of fantastic changes! To see the photo of the day go here. The past three nights I have had the most odd and vivid dreams I've had for a while. The first one I had in this cycle was more nightmare than dream. In this dream I was pregnant. I love my children more than anything, even Pearl Jam, but I do not want another one. I'm to the point in my life where I'm relieved I don't have small children. A nursing baby would be cool, but I digress. When I see frazzled parents dealing with stubborn demanding toddlers I think, been there done that ain't going back! In the dream I was devastated. I yelled at my friend, "I'm 46 years old, I cannot have a baby!" To which she shrugged and while popping peanuts in her mouth replied, "Maybe it's just menopause". She's usually so supportive. I told you... odd dreams. The next one involved our West Seattle Friends who recently added on and remodeled their home. I dreamed they had a dinner party, which isn't unusual except their remodeled house had a ballroom, with a kitchen on the side. And they were hosting my class reunion. Neither one of them graduated in my class. Another odd thing?... I was drinking whiskey and tonic water with lemon in a very large lemonade glass. I've never had whiskey in my life. Oh and the Blue Angels did a fly-by so close to the window I felt like I could reach out and touch them. The best one though was last night and I'm still feeling warm and fuzzy. I met Barack and Michelle Obama. The strange thing about this dream was I could see we were having a conversation but I couldn't hear what was being said. Lots of nodding and smiles, a couple laughs. Then he signed something for me, I think it was a t-shirt. Then I woke up. I chalk up last nights dream to being very excited about today's Inauguration. I can't wait to watch it and hear President Obama's speech. I know I will have tears streaming down my face and joy in my heart.